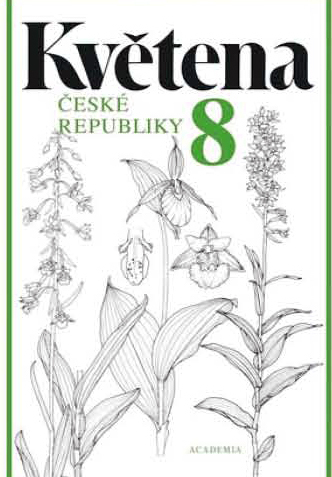 Flora of the Czech Republic (nine volumes of which are planned) represents a series with the most detailed treatment of wild vascular plant species occurring in this country (native species, naturalized aliens and casuals) and more frequently outdoor cultivated taxa. The Flora includes comprehensive encyclopedic taxonomic and chorological information and identification keys to all the taxa. It is based on an original study of plant material, using contemporary methods of study. Each volume contains keys to genera (following the descriptions of families; key to families will be found at the beginning of the special part in vol. 1. ), species (following the descriptions of genera) and subspecies (following the descriptions of species. Correct species name are followed by synonyms, exsiccates, description, chromosome number, variability, ecology and phytocenological characteristics, distribution in the Czech Republic, total geographic distribution and economic significance. Eight volumes have been published covering the treatment of 181 families, 861 genera and 2954 species, most of the species are depicted on 838 mostly full-page plates. Work on volume 9 is in progress. The compendium is published by ACADEMIA, Publishing House of the Academy of Sciences of the Czech Republic. 557 pp. 113 tabs., 52 maps. This volume consists of two parts. The general part contains an outline of the history of the floristic and phytogeographical exploration, inorganic nature in relation to flora and vegetation, vegetation and phytogeographical characteristics, survey of higher vegetation units, regional phytogeographical divisions, terminological dictionary, list of the basic botanical literature on the Czech flora, and concept of the basic taxonomic categories used in the Flora. The special part covers the key to the families, and treatments of 41 families (Pteridophyta, Gymnospermae and 16 families of the Dicotyledons – the most important of them are Nymphaeaceae, Helleboraceae, Ranunculaceae, Papaveraceae and Ulmaceae). 540 pp., 119 tabs., 52 maps. Volume 2 covers the 29 families of Dicotyledons, the most important of which are Fagaceae, Betulaceae, Caryophyllaceae, Chenopodiaceae, Polygonaceae, Violaceae, Cucurbitaceae and Salicaceae. Volume 3 covers 17 families of Dicotyledons, the most important of which are Brassicaceae, Primulaceae, Malvaceae, Euphorbiaceae, Saxifragaceae, Amygdalaceae and Malaceae. 529 pp., 109 tabs., 33 maps. Volume 4 covers 3 families: Rosaceae, Caesalpiniaceae and Fabaceae. Taxonomically intricate, extremely complex genera such as Alchemilla, Potentilla and Rosa are treated in detail in this volume. 560 pp., 126 tabs., 38 maps. Volume 5 covers 38 families of Dicotyledons, the most important of which are Droseraceae, Onagraceae, Aceraceae, Geraniaceae, Balsaminaceae, Apiaceae, Rhamnaceae, Caprifoliaceae, Valerianaceae and Dipsacaeae. 770 pp., 129 tabs., 60 maps. Volume 6 covers 23 families, the most important of which are Rubiaceae, Boraginaceae, Solanaceae, Scrophulariaceae, Lamiaceae and Campanulaceae. 767 pp., 128 tabs., 53 maps. Volume 7 covers the order Asterales with three families: the Asteraceae s. str. (true composites), the Ambrosiaceae and the Cichoriaceae (excl. Taraxacum). This volume includes the treatment of 96 genera with 402 numbered species (additional, unnumbered species are treated in special notes). Volume 8 covers the the genus Taracaxum (179 species) from the family Cichoriaceae. This volume includes the key to all families of the Monocotyledons, including 27 of these families: Acoraceae (Amaryllidaceae) with 75 genera and 199 numbered species and many other treated in special notes. The volume includes also the treatment of the Potamogetonaceae, Liliaceae, Orchidaceae, Iridaceae, Convallariaceae a Hyacinthaceae.